Will Pennsylvania's Online Lottery Games Really Just Be Slot Machines? 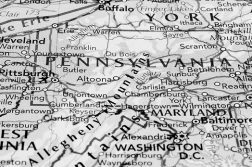 With Pennsylvania expecting to launch its online lottery well ahead of other iGaming options, a question lingers about the target audience of these games and whether or not they pose a risk to online casinos. Online slots could be particularly susceptible to cannibalization from the online lotto, especially if the lotto games bear structural similarities to traditional virtual one-armed bandits. From the looks of online lotto rollouts in other states, they do. At launch, Pennsylvania residents are expected to have a range of draw game and instant game options. While the draw games like Powerball are likely to function exactly the way they do with a real ticket (only more convenient for the lottery player that doesn’t wish to leave the house), the instant games present a more divergent undertaking. Conceptually instant games are meant to be a digital version of scratch-off tickets. However, adapting them to the online medium has resulted in a number of changes and enhancements to the experience. 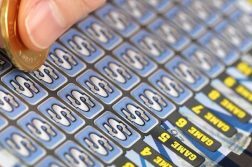 When one purchases a scratch-off in a store, the brief rush of excitement comes from the only functional part of gameplay – scraping away a thin layer of opaque ink to discover if the purchase has any value. It only consumes a trivial amount of time, but the majority of online instant games have done away with this allowing the player to reveal every hidden number with a single click. In order to compensate for that decreased anticipation the games have minor special effects added, brightly flashing animations and celebratory music to trigger dopamine receptors. Sound familiar? These are the same techniques used in both online and in brick and mortar slot machines to entice people to continue playing. Additionally, the interface for most of these games also emulates online slot software, with similar controls to adjust the value of the bet in ways not common to scratch-off tickets. Several games also give the player a chance to unlock a brief “bonus game” mode with increased visual effects and different gameplay, an option that is not possible with a retail ticket but a popular hallmark of slot machines. The bigger concern for online casinos in competing with the lottery is not the significant head-start these instant games have in getting to the market, but actually the excessive tax rates Pennsylvania’s casinos pay on slot machine revenues. 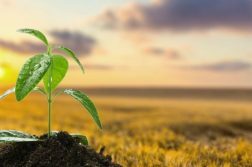 Land-based operators compensate for the high rate of taxation by setting the expected return percentage lower than most other markets, with the average currently hovering around 89%. If the instant game offerings in Pennsylvania prove similar to those now available in Michigan (as expected) they will probably have roughly an 87% RTP, which could make them fairly competitive with online slot machines once those make it to the market. This could have been avoided during legislation, as the state senate insisted on a tax scheme similar to the B&M casinos – 54% on slot revenues and 16% on other games. The house version argued for a flat 16% tax, which would have been similar to that of the online casinos in neighboring New Jersey, and thus would have allowed the operators to select games with high RTPs. However, avoiding this advantage does have a small benefit for the state as it intends to aggressively promote the online lottery in order to meet ambitious goals. Fortunately, one key fact indicates any cannibalization effect may not be a major problem: neither slot machine players nor scratch-off aficionados are known for paying attention to RTP rates, or these would not be their games of choice in the first place. Also, retail scratch-offs are already available to the patrons of Pennsylvania’s casinos at many convenient locations, but the state still boasts some of the best slot revenues in the country despite the abysmal returns (recent numbers notwithstanding). While the risk presented is greater than previous concerns of online games competing with real-world gambling, there is every likelihood that the current audiences of these options will stick with their existing preferences. Either way, sufficient data to know for certain will likely not be available until 2019.